What should I put in my alt text, title text, and Pinterest text? Learn what these fields are used for and what you should put in them. The alternative text (alt text) is intended for use with screenreaders for the visually impaired. When a visually impaired user is visiting your blog, the screen reader will read the alt text for an image to describe what the image is. In addition, search engines use the alt text to properly index images. Thus, the alt text should describe what is in the image. The Pinterest text is a special field added by the Tasty Pins plugin. It sets the text that appears below a pin on Pinterest. The Pinterest text should entice the Pinterest user to click the image and visit your website. The title text is what appears when a user hovers over an image on your blog. Your theme may or may not have this functionality enabled. If this is enabled on your website, you should use the title text as a call-to-action for your users. Ask them to pin the image, give secret information about the image, or even just describe why your post is awesome. 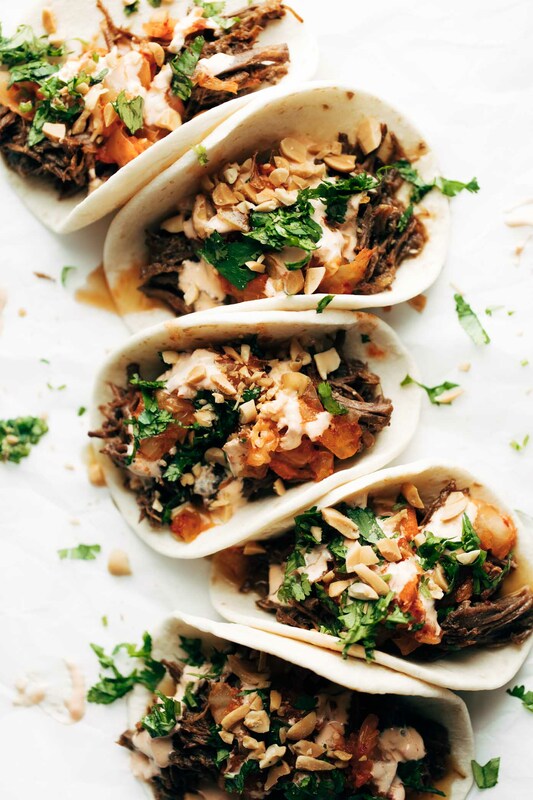 Title Text: Pin this image to save this delish Instant Pot Korean Beef Tacos recipe for later!